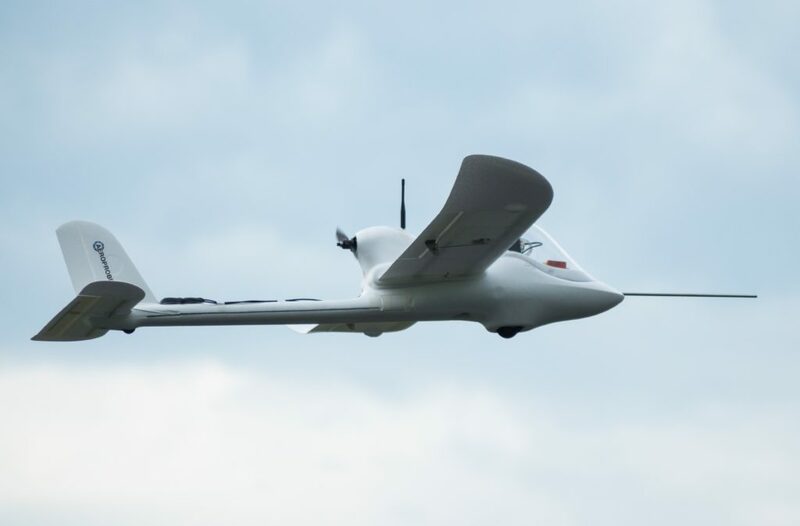 As the unmanned system industry continues to grow, the ability to perform flight characterization without having to rely on wind tunnel testing facilities could prove to be an invaluable asset. The wind tunnel facilities where flight testing usually takes place are rare and expensive, making them difficult to schedule and not always accessible for projects where budget is a concern. 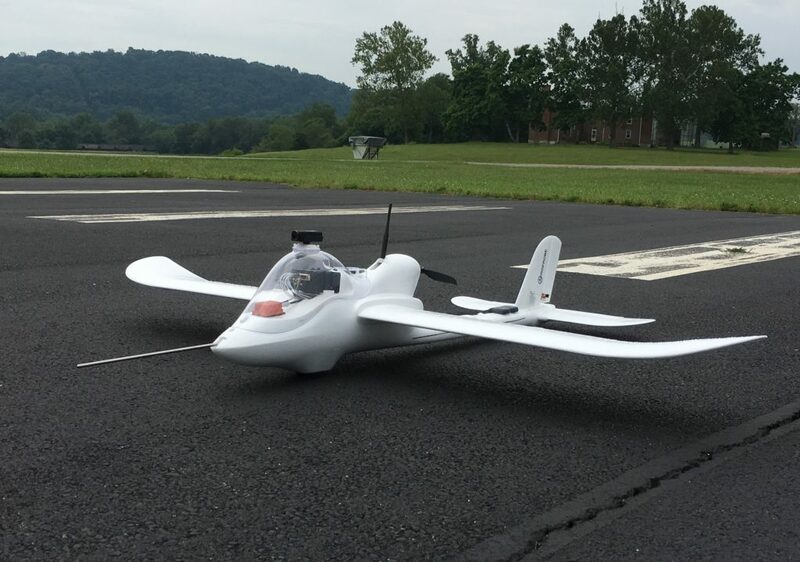 Using smaller-scale models of the aircraft is an option when large testing facilities are unavailable, but such models are also expensive and can create testing errors. Additionally, the walls of a wind tunnel testing facility can impact the airflow around the aircraft, creating further flaws in the acquired data. In-flight performance characterization overcomes the issues associated with testing in a wind tunnel facility, but presents a new set of challenges. All testing equipment must be carried onboard the aircraft, making size and weight vital factors, and it can be expensive to fly aircrafts for testing purposes. It also necessary to measure Angle of Attack (AoA0) Angle of Sideslip (AoS), and wind speed during real-world flight to ensure accuracy. 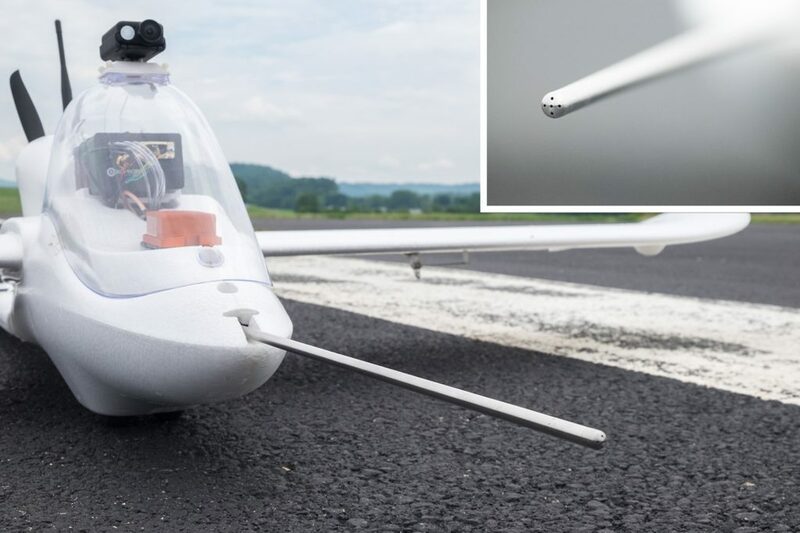 In the study “UAV Flight Characterization Using Minimal Test Equipment,” a Finwing Penguin aircraft was fitted with Aeroprobe’s Voyager Micro Air Data Computer (μADC), which features integrated GPS/INS, and an Air Data Probe. These components weighed around 250g, making them appropriate for the UAV without greatly impacting flight dynamics. Aeroprobe’s products collected 43,000 data points over the course of the study. The elements measured included, AoA, AoS, and wind speed. Often, these air and inertial measurements are recorded with separate instruments, but a single uADS was capable of taking all of these measurements for the study. The gathered data was then used to create an outline of the basic flight performance characteristics of the airframe. The accuracy and amount of data recorded over the course of this study demonstrated the ability of Aeroprobe products to allow for UAV flight characterization outside of expensive facilities. The uADS’s small size, weight, and accuracy make it an attractive alternative to wind tunnel testing. Details of this study were presented at the International Conference on Unmanned Aircraft Systems (ICUAS). Contact us today for more information about Aeroprobe’s products and services. Join Aeroprobe's mailing list today to receive new product announcements and special promotions. Your email address will be kept confidential and you may unsubscribe at any time.